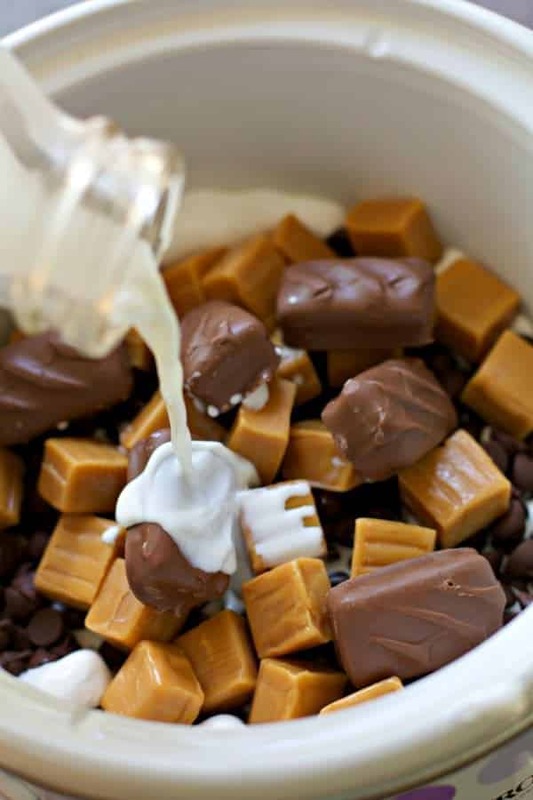 What a fun way to end a party with this Candy Bar Fondue! 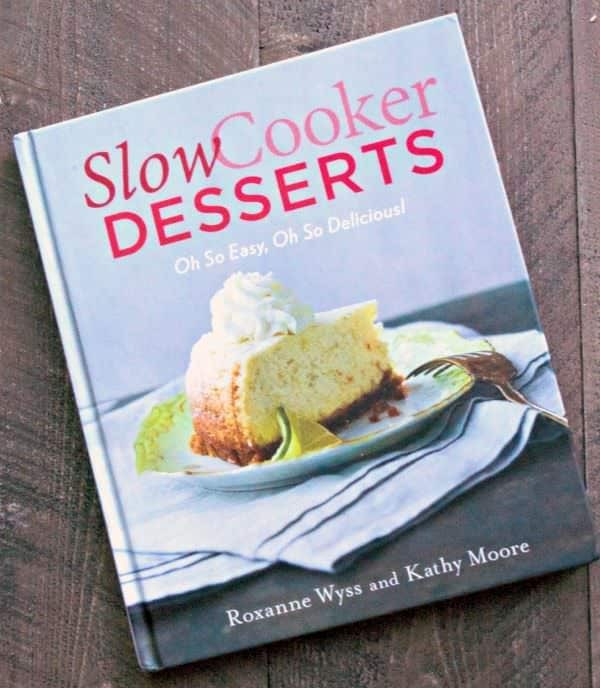 I was asked if I would like to review a copy of Slow Cooker Desserts by Roxanne Wyss and Kathy Moore, of course I would! 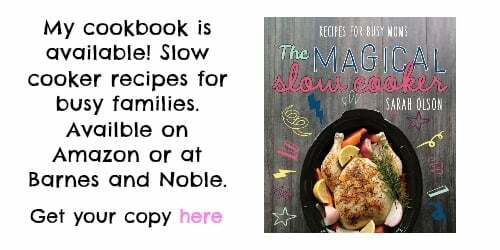 What a great book to have in my collection, a book just for slow cooker desserts. The book is beautiful, it’s a hardcover book. The recipes are very unique, but still recipes I would want to try! The photography is great too! 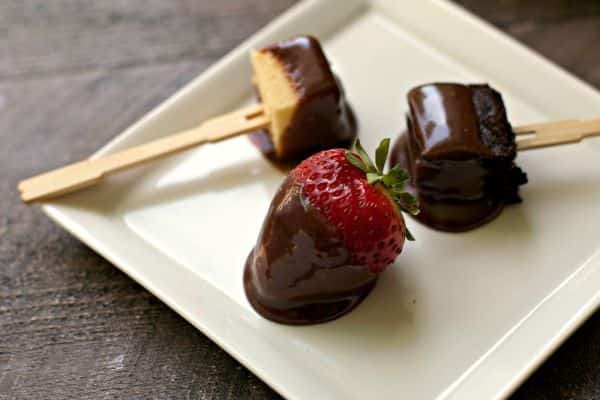 The book starts out with cheesecakes, then cakes and confections, and then there is a whole chapter on dessert fondue! Other recipes I want to try are the French Quarter Praline Dip, and the Cider-Glazed Apple-Walnut Cake. Lots of great desserts to choose from for any occasion. I recommend checking out this book. The book is available at Barnes and Noble in stores or online, and at Amazon. 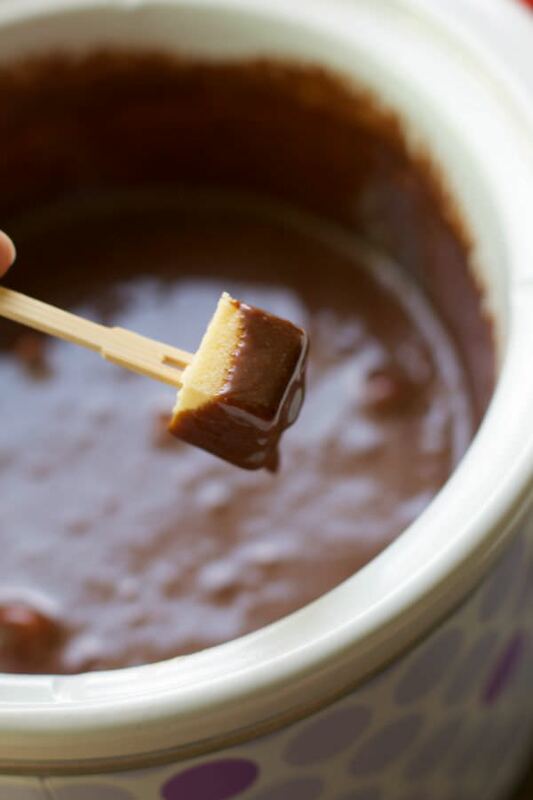 The Candy Bar Fondue recipe in the book was my first try. It is very easy to make, for all I had to do was add the ingredients in the slow cooker and stir occasionally. That would be no problem to do during a party! 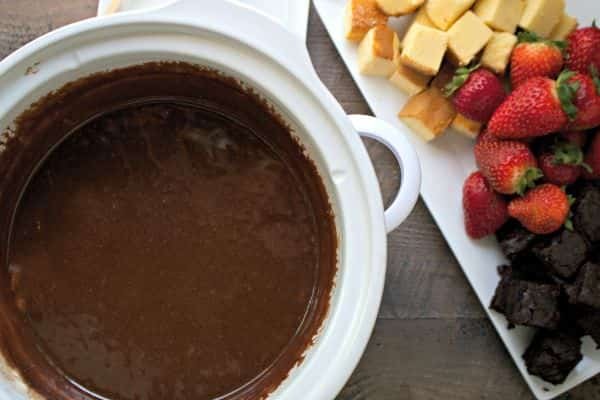 I wasn’t sure if the fondue would be too sweet, but it was just the right amount of sweetness, the milk chocolate flavor is the most prominent. My daughter and husband loved the fondue with strawberries, in fact I had to get more strawberries the next day so we could eat more of the fondue. The recipe is below. Spray a small slow cooker with nonstick spray. Place all the ingredients in the slow cooker. Cover the slow cooker and cook on low for 1.5 to 2 hours, or until melted and smooth, stirring every 30 minutes. Stir until combined. I was given a book in exchange for this post, no other compensation was given. All opinions and thoughts are my own. Oh wow!! What a great idea!!!! 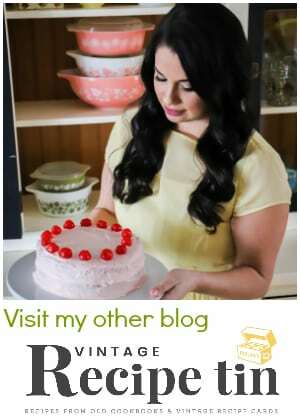 I’m loving this and plan to make this sometime soon! 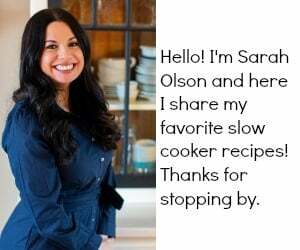 I would not have thought of making this in the slow cooker, but what a great idea! It looks delicious! 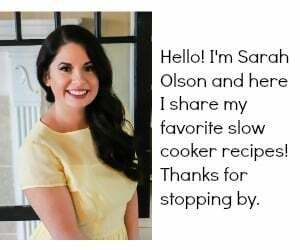 I have yet to make a dessert in my slow cooker. What am I waiting for? 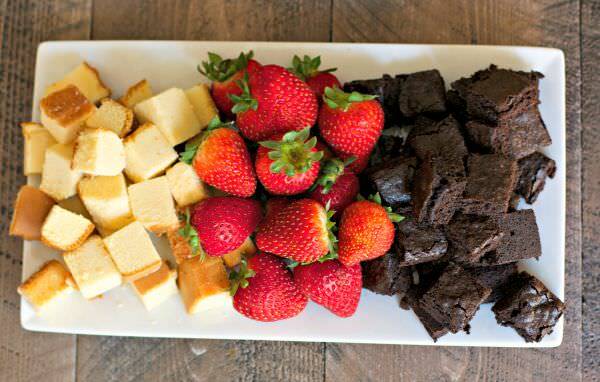 This fondue looks incredible. It sure looks delicious! I’ll have to try that the next time I need to take a dessert! This idea is fabulous – thanks for sharing with us! It seems you have just hit pay-dirt here with the motherload of all sweet treats. I don’t even want to think about what our kids would do to try this!! 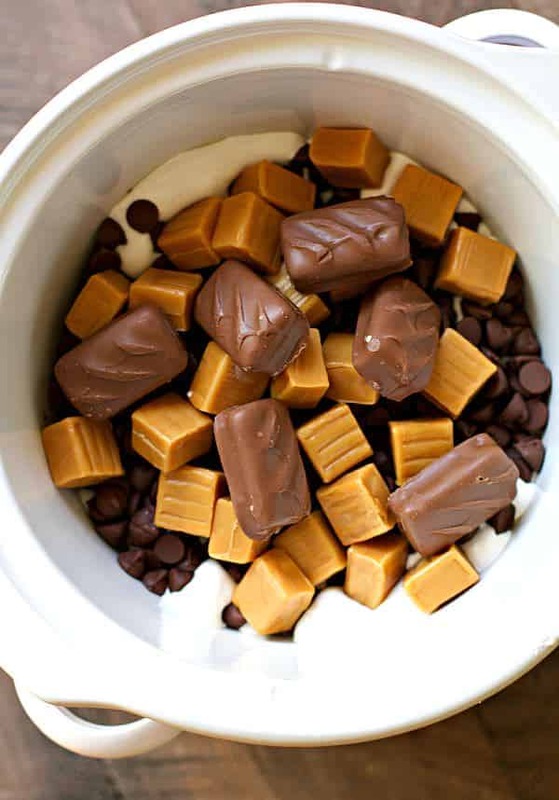 What an awesome thing to make with leftover Halloween candy! I love this! Perfect for my New Years party! Would go great with a fruit tray. Made this for Super Bowl Sunday. It was a huge hit. One person told me that it was the best chocolate fondue she ever had. I had 9 different dipping things for it. It took a good couple of hours to melt – maybe since I doubled the recipe.